. 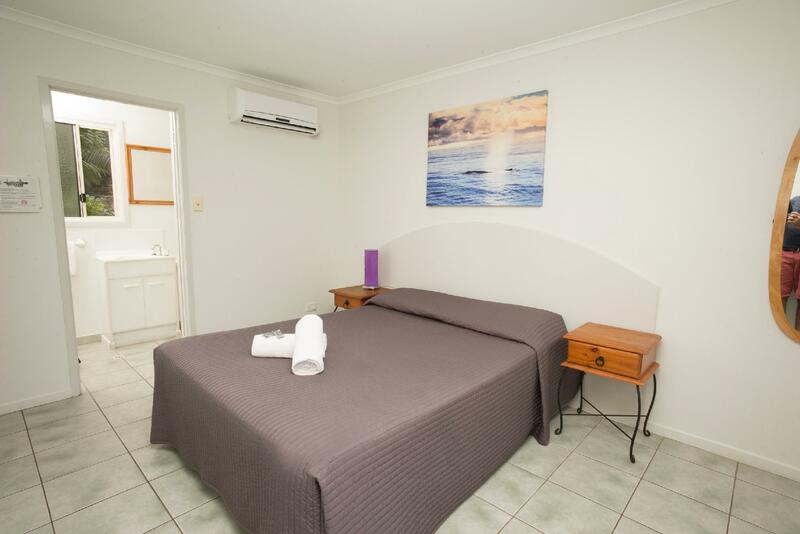 كما يقدم Agnes Palms Beachside Apartments الكثير من الخدمات لإغناء رحلتك في Agnes Water. يقدم هذا الفندق العديد من الخدمات الكفيلة بإرضاء أكثر الضيوف تطلباً. في الفندق غرف نوم يتجاوز عددها 17، كلها مجهزة بعناية وجمال وبعضها مزود بـ تلفزيون بشاشة مسطحة, غرف لغير المدخنين, مكيف هواء, تدفئة, شرفة/ تراس. كما أن مجموعة الخدمات الواسعة الموجودة في الفندق لضمان راحتك تترك لك الكثير من الخيارات لقضاء وقتك أثناء فترة إقامتك. اكتشف مزيجاً ساحراً من الخدمة الاحترافية والخيارات الواسعة من وسائل الراحة والمتعة في Agnes Palms Beachside Apartments. A great location, just a short walk to the beach. There were a couple of cleanliness issues. The vent in the bathroom has not been cleaned for quite a while, the lint in the clothes dryer was built up and possed a fire hazard if used. The smoke alarm didn't work after the kitchen was smoked out from cooking. The clothes airer needs replacing, as it was rusty and buckled. The veranda was not swept prior to our arrival. Would not recommend. We booked in to our 1 B/R apartment. On first look, it seemed OK. Rather dated, but then for the price we thought that was OK. The unit backed on to lovely tropical garden through which you could get to the beach which was very handy. The Q bed was uncomfortable (very springy) and the pillows were appalling. The bedside tables were covered in dust and in fact, I was able to write a message in the dust for the cleaner!! The kitchen was reasonably well appointed - a decent fridge plus everything we needed. The stove, however, was filthy. The grill was so dirty I couldn't bring myself to look at it. There was food baked onto it! The microwave however was clean enough to use. The dining table was a nice square table with 4 chairs however there was a very sticky coating on the table which we could not wipe off. There were 2 very comfortable recliner chairs but these were of no use since the TV didn't work!! Outside was a patio with table and chairs overlooking the garden. It was lovely to sit out there. We had the end unit B! which was right at the end of the resort and very quiet. All in all, it was very disappointing accommodation and we won't be returning. The place had no ambience at all. Oh yes, the pool was filthy as well. There was a layer of dirt on the bottom of it and it was not appealing at all, despite the very hot weather. Very overpriced and in bad need of a facelift. Very outdated and quite uncleanwith cobwebs everywhere. No aircon in bedrooms. Stayed here with our adult child. Surprisingly lovely outlook to the trees beyond and no noise from the front of the property or the road. Undercover parking and full fridge. Clean linen and hot shower. Quite good value for the area. Good location, units are quite spacious, a little dated but not very well maintained and cleanliness was very basic. 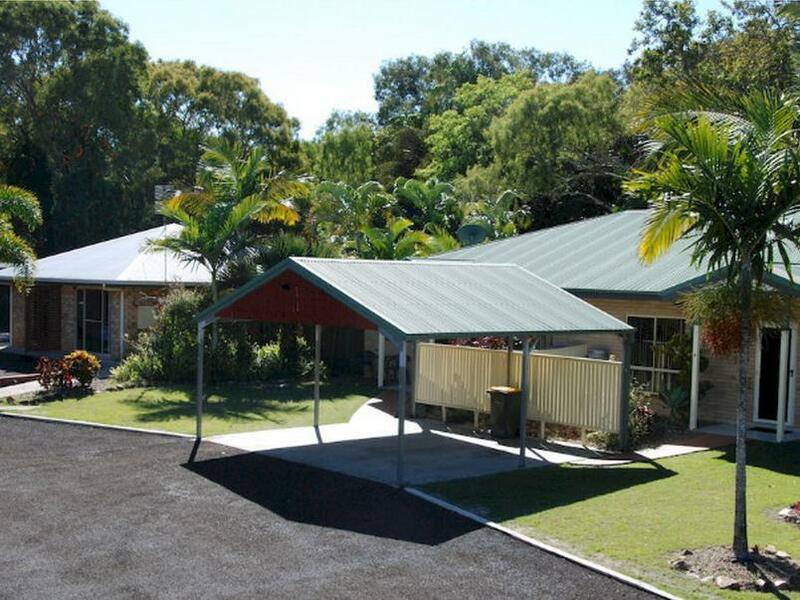 Great value for money, great spot, short walk to the beach and close to everything. It's not 5 star but it was 3, the apartment are starting to need some maintenance. We were comfortable and happy for what we paid for! 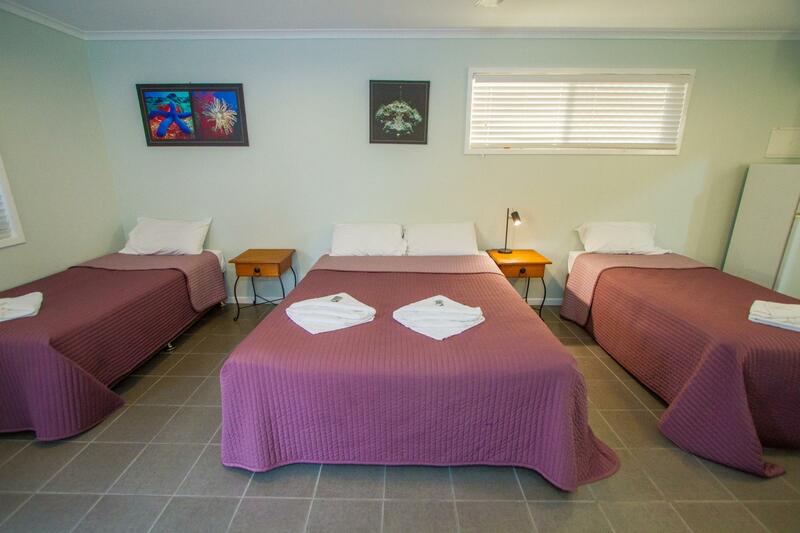 The proximity to the beach, short walk to town compared with some other motels/backpackers, friendly staff. Cleanliness is not high on their agenda. The floor was gritty and unswept so obviously not mopped either. We changed rooms for our 3rd night because our room was already booked. The standard in 2c was pathetic. 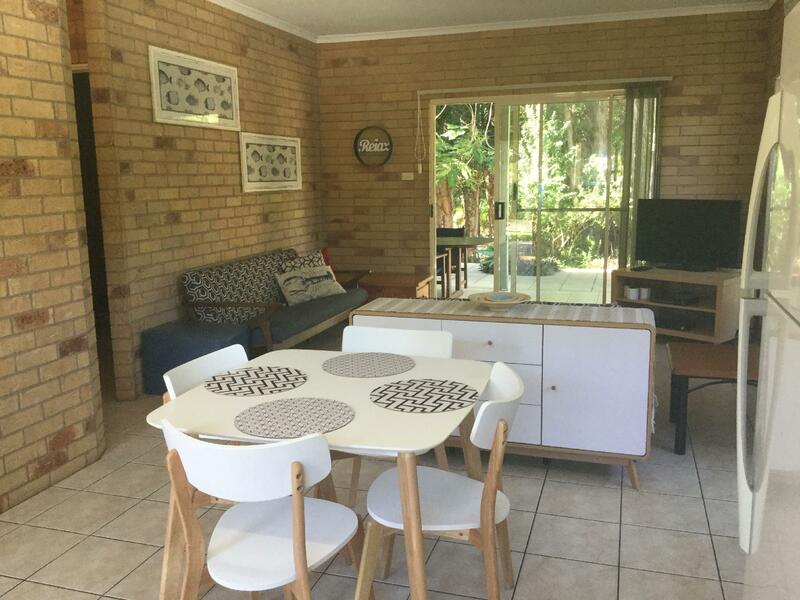 The TV did not work, there were cobwebs and dust on the ceiling fan and ceiling, the vertical blinds would not turn open, there was no outside light and tripping on the verandah edge was a hazard. We even found a dirty sock next to the bed and the floor was dirty. Discussion with reception did not result in any discount but we were too tired to find an alternative. The day trip to Lady Musgrave Island was the highlight of our trip. The floors were incredibly dirty and the TV didn't work properly, as in the batteries in all the remotes were flat. The back door didn't lock properly either. Nice enough for a place to sleep but wouldn't want to spend more time than that in the place. We enjoyed the stay there. 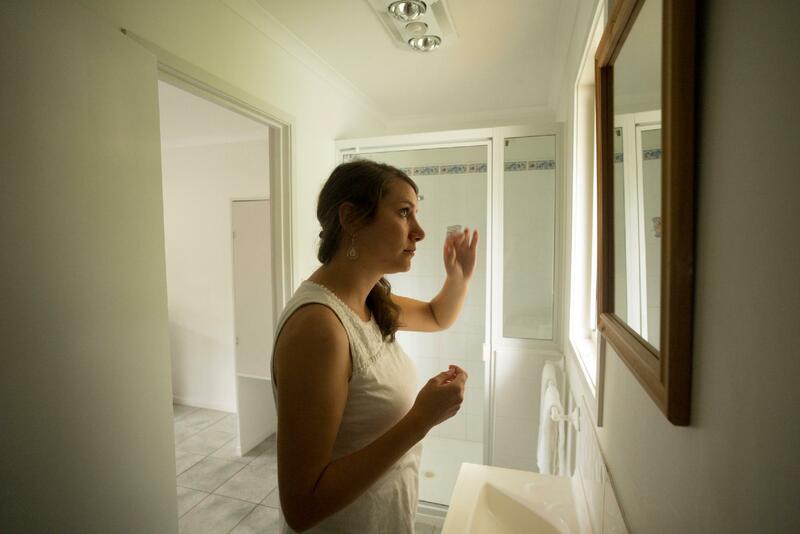 The 2 bedroom house was equipped with everything you need. Rooms are quite large and kitchen was equipped with microwave, stove and fridge. BBQ available on the terrace. Short walk to the beach and short drive to Town of 1770. I would recommend this place. It was near the beach if that was what you wanted. The room was clean and tidy and the location was central.However, there was no one there for us to book in and get a key and the shower head was broken. On booking out there was again no one there and we had to phone them to get some sort of response.Hence we were unable to let them know about the shower. There are obvious renovations being made to the whole place and so would expect it to be better in the future. easy to find and good value for money. only thing that might put some people off is that it is a motel out the back of a backpackers. we didnt have any issues with noise or anything but they share an office and some people with young kids might not like the environment as a result. but for what we wanted it was fine.